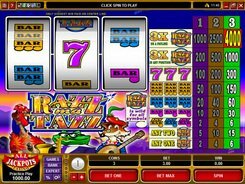 The classic-style Crazy Crocodile game powered by Microgaming has three reels and one payline. 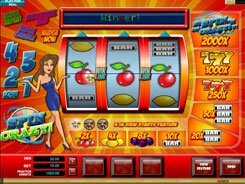 The first jackpot size is 4000 coins. 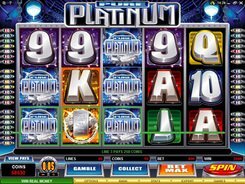 You can wager a maximum of three coins per line and configure a coin denomination from 25 cents to $5. 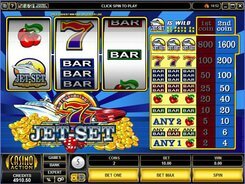 The symbol set (BARs and sevens) is quite typical for a Vegas-style slot, but an animal twist adds fun to the gameplay. A wild is depicted by the Crazy Crocodile. Get three of them on the payline, and you’ll be awarded 1000, 2500 or 4000 coins, depending on the number of coins you have put at stake. 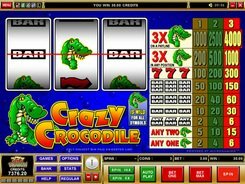 Three Crazy Crocodiles occurred in any position on the reels (not necessarily on the central payline), earn you 200, 500 or 1000 coins, for 1, 2 or 3 coins bet per a winning spin. The Seven symbol is a middle-value image that pays out up to 300 coins if those three have dropped on the line. Three triple or three double bars displayed on the payline award 150 or 60 coins, respectively. Other combinations yield 30 coins and less. 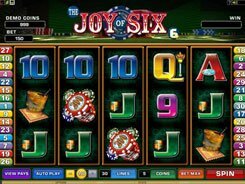 As a typical retro-styled solution, the Crazy Crocodile slot has no multipliers, bonus rounds and other bonus features whatever. PLAY FOR REAL MONEY!